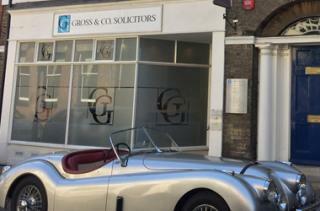 Gross & Co Solicitors, based in Bury St Edmunds, has once again been ranked by the Legal 500 UK guide. Graeme Kirk, Senior Partner and Head of the Immigration department, has a ‘nationally recognised’ reputation for his work in the specialist field of Corporate Immigration, and is ranked as a Leading Individual. Graeme’s Immigration team members, Partner Sohan Sidhu and Solicitor Naomi Ogo are also recognised. Alistair Ponder, Head of the Commercial department and the new Chairman at Menta, is recognised for his advice to businesses both local and further afield. Although mentioned this year in the Employment section, Alistair’s particular area of expertise is providing general commercial advice to businesses of all shapes and sizes. Finally, Elizabeth Hodder, Partner and Head of the Family department, establishes ‘good working relationships’ with clients and solicitors alike and often advises expatriates. The Legal 500 Directory researches and independently verifies the work of Law Firms from across the world, rating and ranking firms based on feedback from clients and peers. If you would like further information please contact Victoria Anderson, Marketing Manager, at va@gross.co.uk.